THE Zimbabwe Power Company must immediately terminate it’s contract with Intratrek as one of its directors, Mr Wicknell Chivayo, has a criminal record and does not qualify to be a managing director of a company registered in Zimbabwe, legislators have said. The Parliamentary Committee on Mines and Energy’s report after conducting hearings on the Gwanda Solar Project recommended that power generation tenders should be awarded on merit. ZPC entered into a contractual agreement with Intratrek Zimbabwe and its technical Partner, Chint Electric Company on October 23, 2015, and the total project cost was estimated at just over $183 million. The committee chaired by Norton legislator, Mr Temba Mliswa, says during different oral evidence sessions with ZPC and Mr Chivayo, the Committee learnt that a sum of $5 644 130.80 for pre-commencement works was released by ZPC to Intratrek, without a bank guarantee and the entire amount was released within a period of six months from December 2015 to July 2016. The Committee said the tender to Intratrek needs to be rescinded in light of violations of the Companies Act and the repealed Procurement Act. 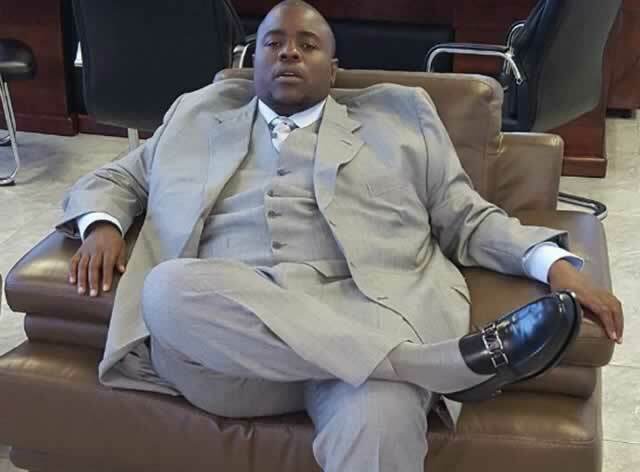 “ZPC should terminate the contract with Intratrek given that that Mr Chivayo has a criminal record and does not qualify to be a managing director of a registered company in Zimbabwe. ZPC must take over the Project,” read the report. The report says ZPC officials even acknowledged that the works on site were not commensurate with the payments. “The Committee observed the following developments on site: two temporary housing structures and partial clearing of the ground. “The following work for which payments had been released and not yet completed included: a decent access road, basic ablution facilities, communication network, electricity, water sifting and borehole drilling and storage,” read the report. The committee said Mr Chivayo failed to get a bank guarantee because of his criminal conviction. “At the same time it boggles the mind why Mr Chivayo failed to get a bank guarantee from his technical partner Chint Electric, which he boasted was a multi-million dollar company with a footprint across the globe,” read the report. The committee said the Zesa Holdings Board and the ZPC Board should immediately be dissolved for lack of good corporate governance in its structures. “The Minister of Energy and Power Development needs to appoint a new Board (s) for the entity, which is professional and has the requisite skills considering issues of gender and regional representation. “Tenure of Boards should go in line with the life of Parliament to allow continuity of oversight work,” read the report. The Committee found the Zesa Board and management negligent in superintending over the projects being undertaken by their subsidiary company. It also recommended that the Zimbabwe Republic Police should conduct an investigation on Ministers and deputy Ministers implicated in the scandal at the Gwanda Solar Project. “The money paid to Intratrek should be recovered after investigations are concluded. The Auditor General should conduct a value for money audit to determine the losses that government may have suffered through this contract,” reads the report. The Committee said it also noted with concern that there was bad blood between the shareholders in Intratrek. Mr Bruce Tokwe, a lawyer representing one of the shareholders Mr Yusuf Ahmed told the Committee that Mr Chivayo was no longer a shareholder in the company because he ceded his shares against a loan he had borrowed. “It was abundantly clear to the Committee that ZPC has no reason to continue doing business with a company that was fractured and dysfunctional,” said the Committee. The Committee said it had noted that there was discord between the ZPC Board and the Management as it emerged during hearings that the managing director, Mr Noah Gwariro, released over $5,6 million for pre-commencement works without the knowledge of the Board. “Secondly, the managing director was given legal advice by the Board Secretary of ZPC on the de-merits of engaging Intratrek given the previous conviction of its director Mr Chivayo. Instead the managing director acted against the legal advice and engaged Intratrek as its contractor,” reads the report. “Furthermore, the Committee was informed that the managing director acted without consulting the board because of pressure from politicians that included former Ministers of Energy, Mr Dzikamai Mavhaire, Mr Elton Mangoma, Mr Munacho Mutezo and Dr Samuel Undenge”. However, Mr Mutezo, who appeared before the Committee, denied exerting any influence to advance the interest of Mr Chivayo. The Committee said there was conflict of interest by the ZPC Board Chairman Engineer Stanley Kazhanje in his involvement in the Gwanda solar project as he had a working relationship with Intratrek where he provided technical services to the company on separate power projects through his own company Terminal Engineering Pvt Ltd. The Committee said it was disappointed to learn from the Permanent Secretary of Energy and Power Development, Mr Partson Mbiriri, that Intratrek had returned on site to complete the pre-commencement works . “The reasons for Intratrek’s return were that ZPC was trying to reduce its financial exposure and secondly the contract between the parties had not been terminated. The officials from Zesa Holdings even had the audacity to thank the Committee through its inquiry on the matter that this had exerted a lot of pressure on the contractor to fulfill its part of the bargain,” read the report.